(Natural News) Gastric bypass surgery and other forms of so-called “weight loss surgeries” have become famous for being the supposedly easy path to thinness. But these surgeries come with a hefty price tag, in more than one sense of the term. Rationing of these surgeries in other countries has led to those interested in undergoing the operation to become “super-obese” so they can qualify. 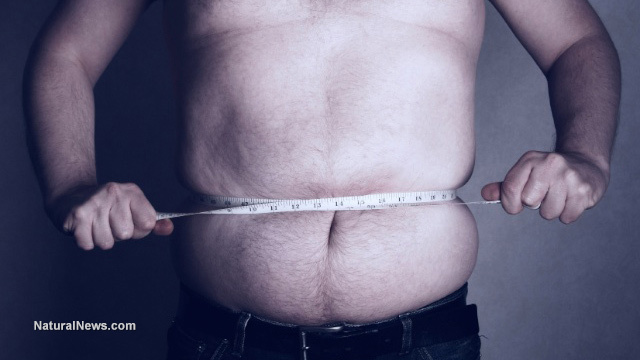 For example, a recent survey by the British Obesity and Metabolic Surgery Society and the Royal College of Surgeons revealed that in some regions of England, a person needs to obtain a body mass index (BMI) of 50 before they can qualify for the surgery. According to the U.S. National Heart, Lung and Blood Institute’s BMI calculator, this means someone who is six feet tall would need to weigh 369 pounds to qualify for a weight loss surgery in England. Health officials are understandably concerned that these kinds of stipulations give patients the wrong message. And they are right, it does send the wrong message. After all, the impression is simply that if they want the surgery, they need to gain even more weight. England is not alone in this controversy, though countries like Canada certainly have more attainable requirements; to get the surgery there, one needs a BMI of over 40, or a BMI of 35 or higher coupled with comorbidities such as diabetes or heart disease. In the United States, similar rules are often enforced by insurance companies, requiring would-be patients to obtain a higher weight before allowing them to get the surgery. The entire concept of this is simply preposterous; telling patients who are already clinically obese, or well above that point, that they need to gain more weight before they will be allowed to have a surgery is nothing short of criminal. While England is not the only country to propose strict parameters for surgery recipients, many areas of the nation have taken matters into their own hands and have made receiving the surgery an even more arduous process. For example, the Mid Essex CCG reportedly requires would-be patients to also become non-smokers before they will allow a weight-loss surgery to take place. The East Riding CCG requires patients to have a BMI over 50, as does the Vale of York CCG — unless the patients have a comorbid condition, then the threshold is reduced to a BMI of 45. Regardless of how one feels about weight-loss surgery, the fact remains that English healthcare groups are withholding medical services from the public in order to reduce costs — even in light of medical research that shows the surgery can be helpful, and that official guidance on the subject dictates that patients with a BMI of 40, or a BMI of 35 coupled with comorbid conditions, should be considered eligible. And in some cases, such as in Mid Essex and North East Essex, the government-run healthcare groups are bordering on tyranny by requiring patients to quit smoking, or be referred to smoking cessation services, before they can even get an initial assessment. While it’s essentially common knowledge that smoking is bad for you, you wouldn’t think it acceptable to deny someone surgery for a broken limb because they were a smoker. While the combination of smoking and obesity would seem to make for a risky surgery patient, and it’s probable that they are trying to ensure good outcomes for their patients, is it really the government’s place to make demands of their citizens before providing them with healthcare? This is a can of worms, just waiting to pop.